The fireplace has been a popular feature of the Irish house for many generations. However, open fires and chimneys are very wasteful and are major sources of heat loss. When in use, an open fire is approximately 15-30% efficient, which means that around 15-30% of the heat in the fuel is used inside and about 70-85% of the useful heat is wasted and lost up the chimney. On the other hand, a modern solid fuel stove can reach efficiencies of 80% or more, meaning that only about 20% or less is wasted up the chimney. This means that far less fuel will be used if there is a stove installed. 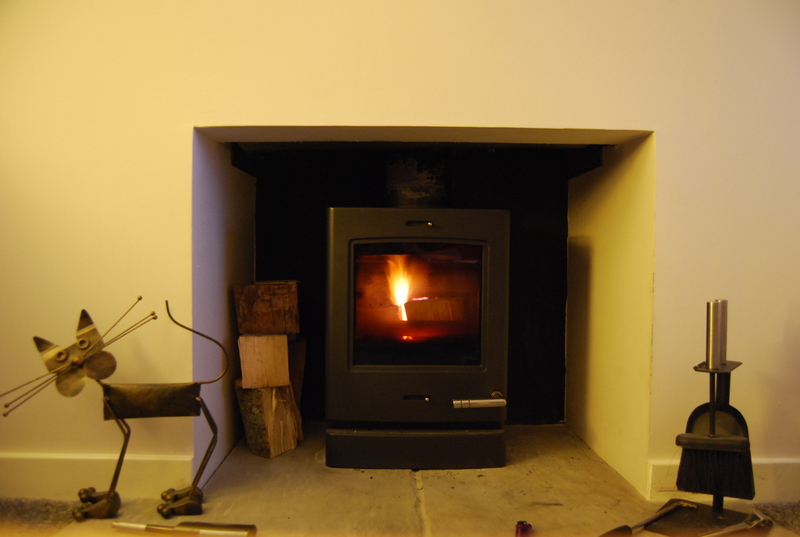 Most existing fireplaces are big enough to have a stove fitted and installation costs are modest. If a stove is installed, it is more efficient to have a dedicated air supply from outside so that air is not drawn from inside the room where the stove is located. When not in use, an open fire (especially when without a damper) will cause a lot of heat to be lost up the chimney, while a stove prevents this significant loss of heat. The choice of solid fuel used in a stove is important in terms of greenhouse gas emissions: local wood from sustainable sources is best and fossil fuels such as coal and turf should be avoided. A grant could be introduced to encourage the installation of solid fuel stoves in open fireplaces in existing homes. Such a grant would help reduce fuel bills, reduce emissions as well as create jobs for local stove installers and stove manufacturers.